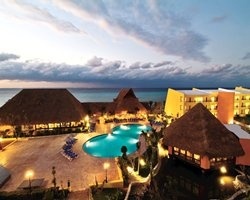 The splendor of the ancient Mayan civilization is re-created at *Melia Vacation Club at Melia Cozumel*. Wander through the old-world-style plazas and verandas, or worship the sun beside the pool or on the beach. Rent a moped from the resort for a day's adventure. Cozumel, a beautiful island surrounded by the Caribbean, offers exquisitely clear water that's perfect for snorkeling and scuba diving! Great Winter Get Away! Floating, Every Year Usage, During Red Season. Floating gold season week! RTU until 2061! Buyer may receive a title fee credit, inquire for details! Tropical beachfront paradise! RTU until 2043! Buyer may receive a title fee credit; inquire for details! 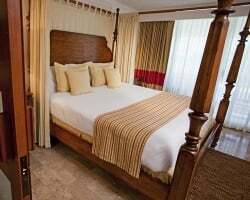 Perfect for romantic getaways to Cozumel! RTU until 2024! Buyer may receive a title fee credit, inquire for details! 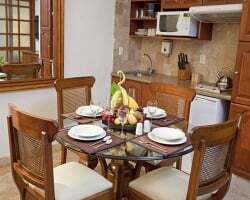 Refresh yourself with a lavish stay in Mexico, where the resort has numerous amenities to offer! RTU until 2027! 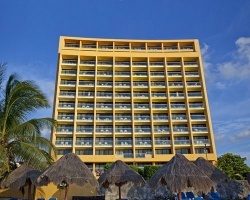 Floating week of your choice at this outstanding Cozumel resort! RTU until 2027! Make an offer today! Own a slice of this tropical paradise! Yearly usage in floating week during Medium season (weeks 36-43)! Rtu until 2027! Make your offer! High time, Red Week at an all (non-mandatory) inclusive Island resort! Beachfront property is all yours until 2024! Price is negotiable! Price reduce. Highly motivated seller. Dream Vacations! Beachfront units. Direct access to pools from Patio! Great for exchanges! 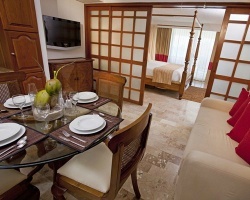 Enjoy a floating week of your choice at this outstanding Cozumel resort! RTU in perpetuity! Inquire for details! Come relax and enjoy this beautiful beachfront paradise! Floating week of your choice! RTU in perpetuity! Inquire for details! Relax on the beach nearby or pool onsite & so much more! Buyer May Receive A Title Fee Credit, Inquire For Details!! Peaceful and relaxing Cozumel resort! Floating, platinum week! Buyer may receive a title fee credit, inquire for details!